View the trails and lifts at Big Snow Resort - Blackjack with our interactive trail map of the ski resort. Plan out your day before heading to Big Snow Resort - Blackjack or navigate the mountain while you're at the resort with the latest Big Snow Resort - Blackjack trail maps. Select resorts also feature an additional trail map from partner, FatMap that provides a 3D view of the ski resort, including slope steepness and aspect, along with information on what it's like to ski each of the trails at Big Snow Resort - Blackjack. OMG! It was awesome! 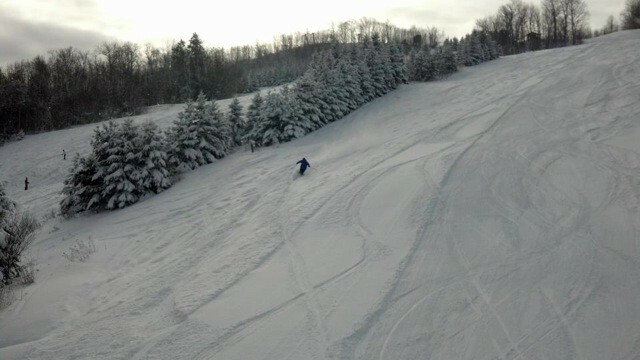 We only spent a couple hours here after Indianhead, but the several black runs we did were GREAT!! Great time!, good conditions and atmosphere, awesome variety of runs now that Indianhead and Blackjack have merged into one resort, really good bars and restaurants at the resort, so much more fun than Granite Peak, will be back! Get Snow Reports, Powder Alerts & Powder Forecasts from Big Snow Resort - Blackjack straight to your inbox!